Critiques of systems traditions and approaches have included Ida Hoos (Systems Analysis in Public Policy: A Critique), Robert Lilienfeld (The Rise of Systems Theory : An Ideological Analysis), and — to my mind, significantly — Jean-François Lyotard (The Postmodern Condition: A Report on Knowledge). Intriguing then that anthropologist Bruno Latour makes peace with systems thinking as preface to his new project An Inquiry into Modes of Existence: An Anthropology of the Moderns, which is published both as book and as “augmented” AIME website. Ob­vi­ously, the pro­ject is sys­tem­atic in the sense that it has been car­ried out for over twenty-five years and sys­tem­at­i­cally pur­sued so that once a mode has been de­tected it is cross-ref­er­enced with all of the oth­ers modes. How­ever, if by sys­tem it is meant that there are no other modes and that their de­scrip­tion is com­plete, ob­vi­ously AIME is not a sys­tem at all (com­pared to Hegel’s for in­stance) but firstly a re­ca­pit­u­la­tion of cer­tain ‘val­ues’ most cher­ished by some of the in­for­mants in­ter­ro­gated by the au­thor. This is to en­sure that in the long run it is not trans­formed into a sys­tem but rather, that it has been con­ceived as an in­quiry opened to many other co-in­quir­ers other than the first one. 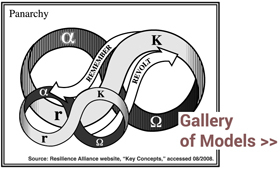 On the whole, we think it is im­por­tant that an in­quiry into such an im­por­tant topic as the an­thro­pol­ogy of moder­nity be sys­tem­at­i­cally pur­sued as each mode re­acts to how an­other mode is un­der­stood. So, the post­mod­ern ob­ses­sion for avoid­ing sys­tem­atic­ity at all costs, runs against the clar­i­fi­ca­tion that we wish to ob­tain.